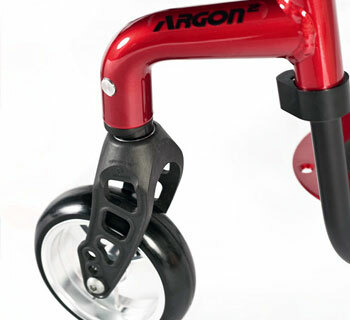 Quickie Argon 2 Wheelchair Multi - Adjustable. Because wheelchairs like the Quickie Argon are available with a range of specifications, we like to talk through the options with every purchaser (or anyone who is thinking of purchasing). 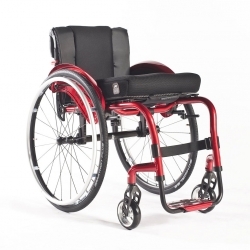 Call our team on 01642 805050 or email enq@activemobility.co.uk to have a chat about this wheelchair and which options would suit you best. 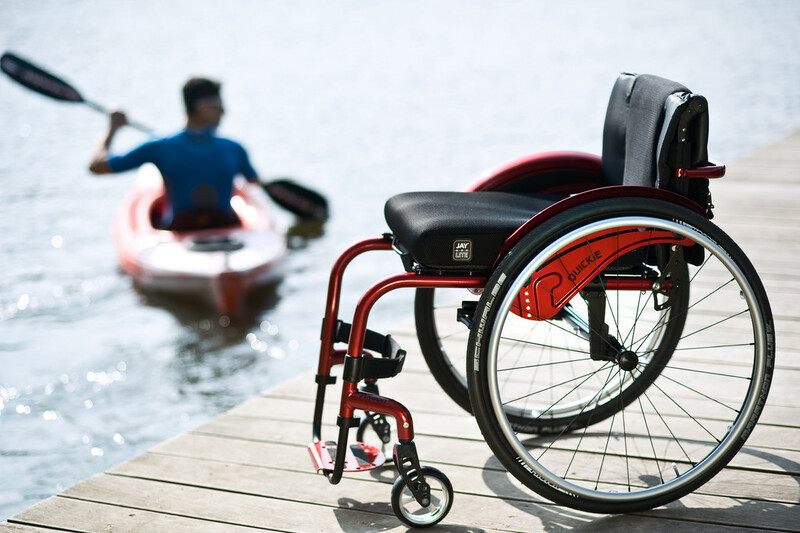 The active wheelchair that's adaptable to you. 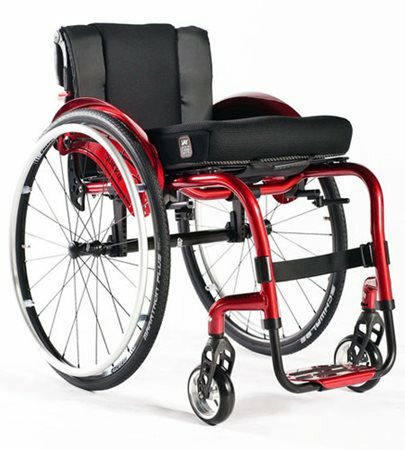 The Argon2 active wheelchair offers full adjustability without compromising on any performance. 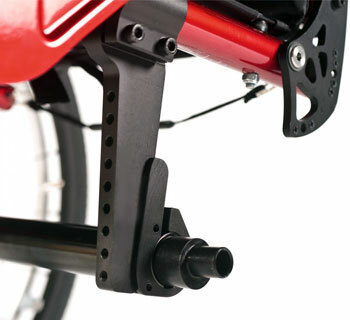 The rear seat height is adjustable in 1cm steps, so the seat angle can be constantly adapted to changing needs. With the infinitely adjustable centre of gravity, you can quickly change your driving settings to a more active or a more stable performance. 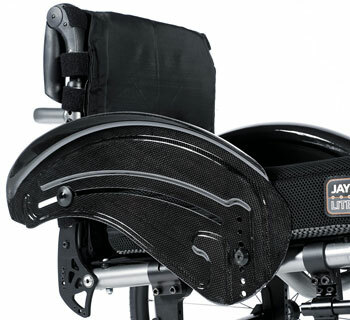 The backrest angle, height and upholstery tension are also adjustable, so you'll always find a seating position that best suits you. The Argon2 castor forks are made of Carbotecture – a special lightweight and extremely strong Carbon Fibre material, these are extremely impact resistant and break proof. They are also half the weight of aluminium forks. The outstanding design of the castor link tube (using tube hydroforming) helps to achieve complex tube geometries - for a stronger, more modern active wheelchair design. 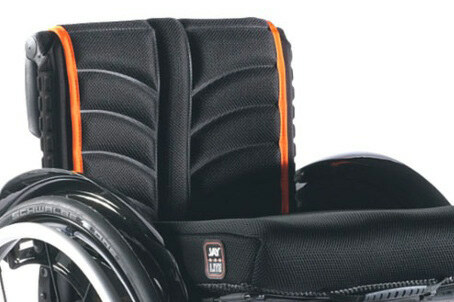 Wide range of active wheelchair options. Configure your Argon2 active wheelchair to your individual needs with a plethera of options taken from the Quickie Helium. Our most sylish options now available on the Argon2 including colour style packages on the carbotecture fork in silver, orange or black.